This 3-day course is to facilitate your own spiritual growth, removing more limiting beliefs using new techniques. You also learn how to use the Basic Theta Healing® techniques at a much higher level by learning short-cuts to connect to the Creator of all that is and gaining more confidence in the messages you receive. You leave the course with a raised vibration and a clearer channel, which allows you to achieve better and faster results - you are also more clearly able to create what you really want in your life. 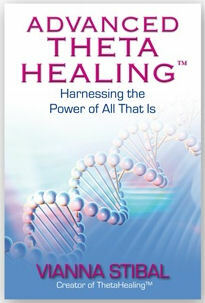 On successful completion, you become a Certified Advanced Theta Healing® Practitioner. How to work with and heal any "consciousness" including plants, animals and non-organic materials (e.g. your house, business, or a car etc.). Free parking and yummy snacks!